The International Bluegrass Music Association’s Board of Directors announced that Paul J. Schiminger has been selected as the organization’s Executive Director. Schiminger’s expected start date is June 1, and he will be based at the IBMA’s office in Nashville, Tennessee. IBMA – the International Bluegrass Music Association – is the professional trade organization for the global bluegrass music industry and the community it serves. 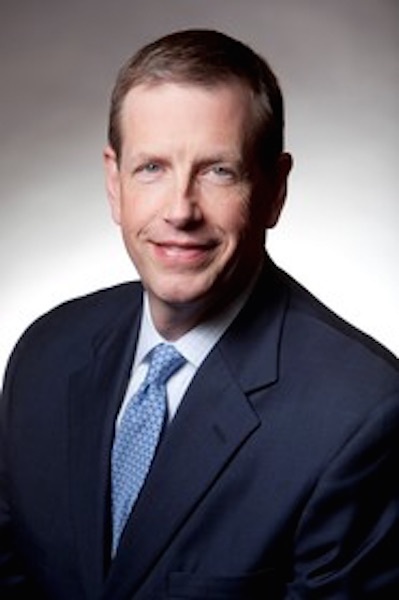 Schiminger brings to his role with the IBMA an extensive background in the financial services industry, including his most recent position as head of not-for-profit business development at Wilmington Trust (M&T Bank) in Baltimore, Maryland. Prior to that, he was Vice President, Head of Sales & Client Service at Alex. Brown Investment Management and held several positions at Deutsche Bank Alex. Brown, including Director, Head of Sales & Marketing for Advisory Services. Schiminger received a Bachelor of Business Administration-Accounting from James Madison University and a Master of Science-Finance from Johns Hopkins University. He is a Certified Investment Management Analyst. Additionally, the incoming Executive Director is a passionate fan of bluegrass and plays banjo in a regional band in Maryland. Schiminger was also a member of the Leadership Bluegrass Class of 2015. Bluegrass music is enjoying a surge of creativity and vibrancy, as witnessed in Raleigh at IBMA’s World of Bluegrass event over the past couple of years. We have a community of talented musicians and fans connected as one. There is no other community like it. How could I not be excited to be a part of this music at such a time of growth? I have an incredible opportunity to combine my professional experience and my passion. Now let’s have some fun together – Paul Schiminger. says Schiminger fits the bill for what the Board was looking for when they started the hiring process for the next Executive Director. From the beginning of the search, our Board was determined to bring in an Executive Director with substantial experience in the business world, and Paul obviously brings to the position a stellar background in that respect. But he also brings an appreciation of and a passion for bluegrass that I know will excite our membership – and his recent participation in our Leadership Bluegrass program, which he had pursued even before our search began, only underlines his deep connection to our industry and community – Jon Weisberger Board Chairman. I’m so happy to have Paul coming on board. I had some in-depth conversations with Paul, and I think he has the obvious skill coupled with a genuine love for our music. His business acumen combined with a knowledge of the music is the best of what we could have hoped for. He comes to the position with much excitement and enthusiasm, with important and worthy goals – Tim Surret Board Vice Chairman. Schiminger says he is ready to hit the ground running, with many priorities for the organization already in place. “My initial priorities at IBMA will be to work closely with our important partners in Raleigh so together we assure yet another amazing World of Bluegrass business conference and festival, learn how we can better support our Professional members and help them successfully grow their careers, and identify ways we can continually enhance the experience of our Grass Roots members. They are the fans that will help this music thrive for generations to come,” he said.